Successfully Added Excellent Digital Camcorder - 2.5-Inch Screen + MP3 Function to your Shopping Cart. 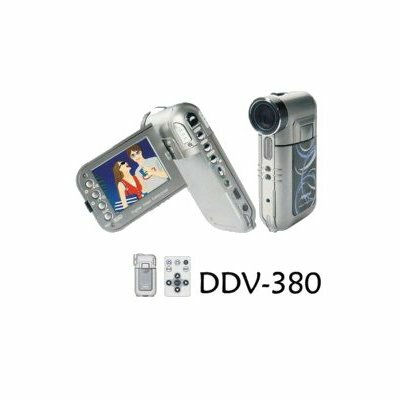 Great Digital Camcorder with 2.0 inch TFT color LCD screen and built-in 32MB flash. Features high quality still photo which is able to 12 Mega Pixel (Interpolated), 8 Mega Pixel, 5 Mega Pixel and 3 Mega Pixel. There is a Li-ion battery to give power supply and includes PC camera function. It is able to operate by remote control and play MP3, MP4 format documents. USB2.0 interface to connect with computer..